We not only help you feel and move better, but live better too and our BodyScan is the perfect way to get you started on a better lifestyle. It’s a FIT3D platform powered by 3D structured light technology that allows you to learn almost everything about your body including: balance, posture, body shape, body mass index, metabolic rate, and so much more. 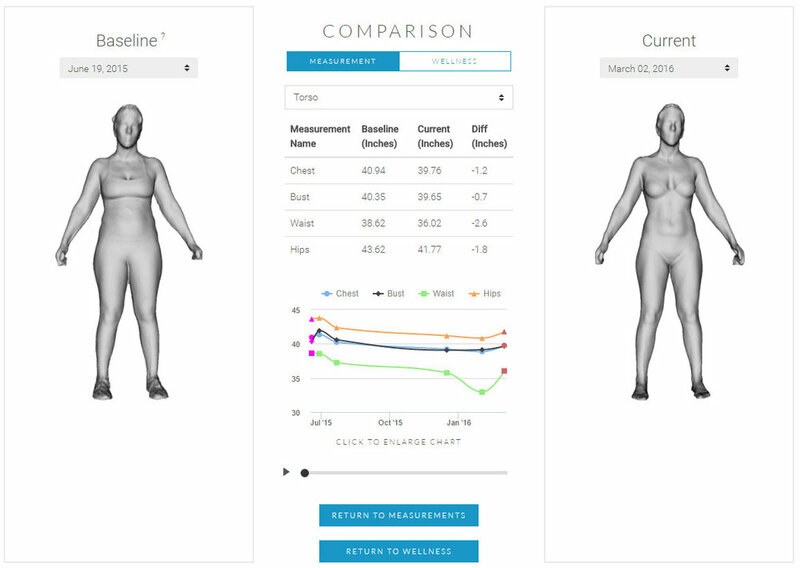 It takes hundreds of data measurements of your body and converts them into a 3D data model that is coupled wth weight and balance measurements to allow you to see exactly what’s right and what can be improved about your body. It even shows you how you compare with others in your age group. The BodyScan is the ultimate lifestyle tool and we think it’s ideal to use every two months if you’re interested in making improvements such as weight loss, postural adjustments, or just view body shape progress from exercise. Monthly is ideal for active athletes and those working on serious weight loss or exercise programs. Available only in our Rancho Bernardo Office only.